We met up with Dan Luecke, a Water Education Colorado board member, to discuss river and stream health and planning in Colorado. Dan is a retired hydrologist and environmental scientist who has focused on developing water in environmentally sustainable ways. He also focuses on river system restoration and has often been involved at the intersection of federal law and water rights. You’ll find an excerpt of this interview in the summer 2018 issue of Headwaters magazine, hitting mailboxes in July, but read the full interview and watch video excerpts here. Can you start off by telling me a little bit about yourself? How has your work targeted healthier streams? I am a hydrologist and environmental scientist and was with an environmental organization for a number of years here in Colorado. I subsequently worked with federal judges and others who’ve dealt with water issues in the justice department. My primary interest at this point in time has been developing water in an environmentally-sensitive way, the sustainable alternatives to major projects, and looking at restoration in river systems and riverine ecosystems that restore species, restore habitats and restore water quality. To a large extent, the involvement I’ve had has been the intersection of federal statutory law and water rights—so, the Clean Water Act, NEPA, the Endangered Species Act—and that brings in all of the state, local, and federal actors, as well as the environmentalists. Why should people care about healthy streams and a healthy environment? I think we all ask ourselves that question regularly. From my point of view, what’s important is that we, as a society, have an obligation to protect what we rely on, not only for ourselves but for the larger community and also for other species which we interact with on a daily basis. I think it makes us a better community and it delivers the message to others that we care and we know how to maintain healthy habitats that support a wide range of interests that extend beyond just the economics of issues. What notable features or obstacles are we faced with in Colorado that distinguish us from other states in the context of stream management and policy? The way we used water established our ownership of that water. Traditionally, that involved taking water from a stream and then applying it some way, whether it was for urban or agricultural use. We’ve subsequently broadened that, and I think you can see it in the kinds of instream flow conditions that we have now. You can see it in the way people feature the fact water has been left in the stream. Boulder is a good example of that, Boulder protects the stream that flows in the middle of the city. Denver is turning its attention to that, and other parts of the state are as well. People will come to realize that water can be an amenity ‘left in place’ as opposed to only an economic input factor that can be applied to raise the economy. In and of itself, it’s a value, and the habitat it supports is a value. 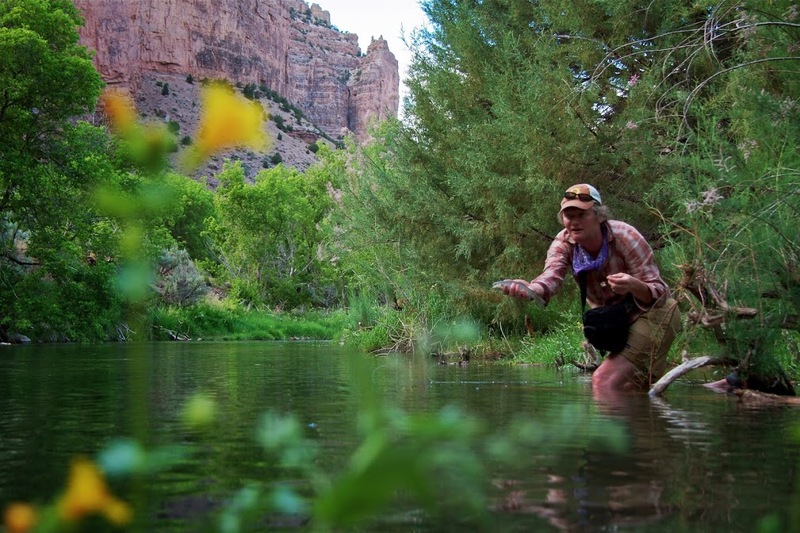 What are your thoughts on river-related recreation on the Western Slope of Colorado? What sort of planning should be executed to eliminate environmental or conservancy concerns? The point that we have to recognize is that the [water] resource has reached the point where it’s highly valued by all parties, by all interests, it directly sustains and supports a major portion of the economy. Right now, recreation—whether it’s associated with the instream use of the water or merely the riverine habitat or other aquatic habitats—is an entity that has an abstract or visual value and not unimportant. In Colorado, 30 years ago, the recreational component of Colorado’s economy was relatively small. West Slope agriculture and outdoor recreation: important, but not overwhelmingly important. It has become even more so now, and when people think about Colorado, that’s one of the things they think about. What makes the urban area, the Front Range, as attractive as it is, is its close proximity to this enormous recreational area that’s in part sustained by the water that flows through it. The epicenter of growth is the Front Range. The growth and value of the recreational economy have given the West Slope, much more political power than it had a few decades ago, and it is really quite remarkable in that regard. There is little done in the state that doesn’t at least check in West Slope interests. Relatively speaking, the political power of the West Slope will continue to increase. Why is it important to involve people with various interests, backgrounds, and stakes in the community’s use of a stream in planning? There’s hardly any interest that doesn’t touch water one way or another. Every interest, or every group, has a right to be heard. Beyond that, putting together programs for protection or enhancement of riverine and aquatic habitats can be stopped by almost any one given interest. So, on the one hand, everyone has a right to be heard, and on the other hand, anyone has the ability or the power to stop a particular activity. Therefore, getting all the interests around the table is the way to go about solving problems, improving aquatic systems, and having them there for all to enjoy. How does science or research play into the way Coloradans manage their streams? Science is essential. If you take a look at the major plans and activities that are underway in Colorado—the upper mainstem of the Colorado and the Platte system on the other side of the divide—species protection and enhancement is important because there’s often federal law that requires certain activities to take place. Without the underpinning science, trying to develop a set of measures that might make a difference is virtually impossible. These are very complicated systems. You’re doing experiments in the natural world, you’re doing experiments in nature, and nature doesn’t often cooperate. In part, that scientific underpinning can take the rough edges off because people then are reasonably confident that certain actions/measures will make a difference. Without the science, there is really little that can be done, and I wish people would agree. What have you learned since joining and serving on the Water Education Colorado board? … or what has been the most rewarding experience you have had the opportunity to work on with WEco? Simply being a part of an organization that produces such high-quality work as Headwaters Magazine and a variety of things like that. I was called by a reporter in New York about three or four years ago who wanted to do a story on the Rio Grande, the basin, and agriculture in the basin. At the time, there was an issue on groundwater in the San Luis Valley, and she said, “Oh, I read that, I saw that in Headwaters.” So, somebody in New York picked up Headwaters Magazine, and I thought, wow, that’s some reach for such a modest group! What role does unbiased or impartial new have in the water world? How does Water Education Colorado help meet that goal? It’s enormously important. We all have a point of view, we all have a position. The more unbiased information we have, the better off we are. I’m not entirely sure WEco is always unbiased, that’s almost impossible, you’ve got to have a point of view, you’ve got to have perspective. However, I believe WEco plays a vital role in getting information out there and attracting people to the issue with activities that aren’t just publications—Water Leadership, Water Fluency activities, [the Water Education Network] work with elementary and secondary schools teachers that deal with water, that’s all enormously important. There’s nobody in Colorado without an opinion on water. An informed opinion is something that WEco helps to provide.